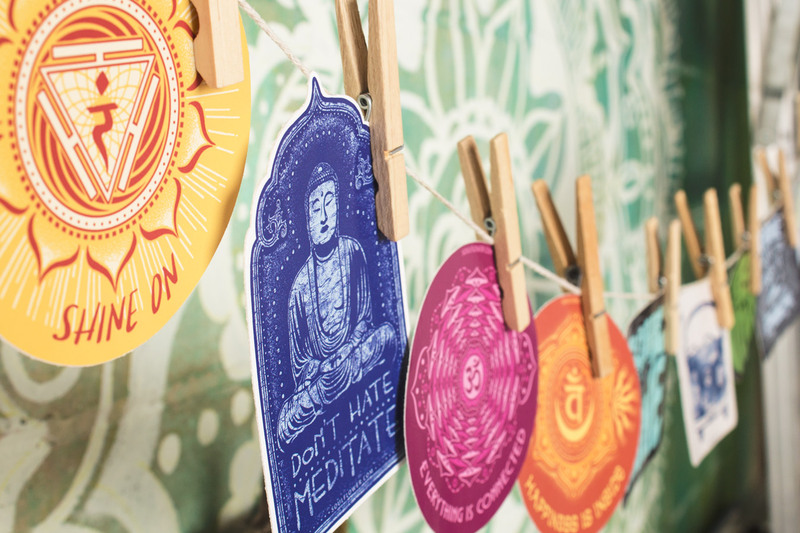 Soul Flower recently released our new stickers featuring sayings and graphics from our best selling t-shirt designs. 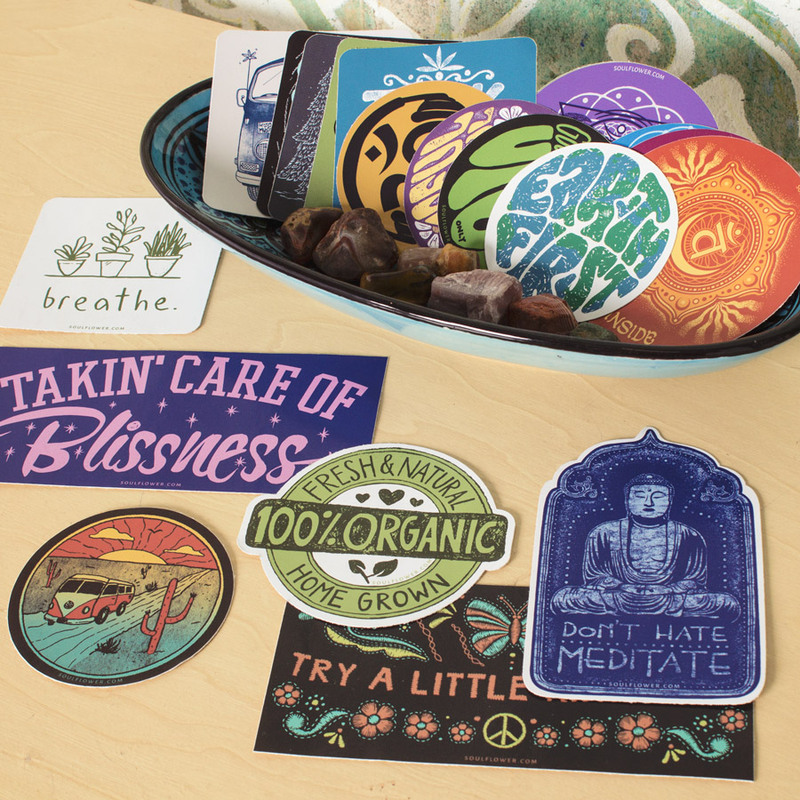 A few of our favorite shops and boutiques have purchased these stickers to carry for their customers and we recently heard this question: How can we display these in our shop? Well, this blog is for you! 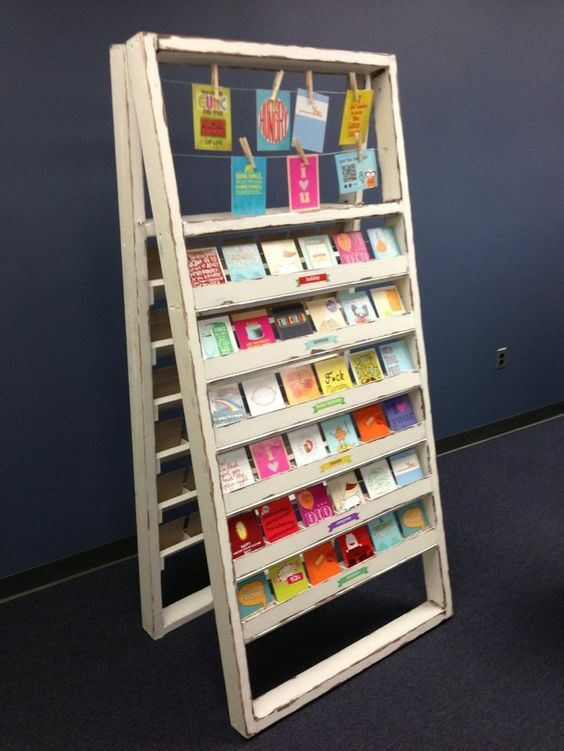 Here are a few DIY Retail POP sticker display ideas. 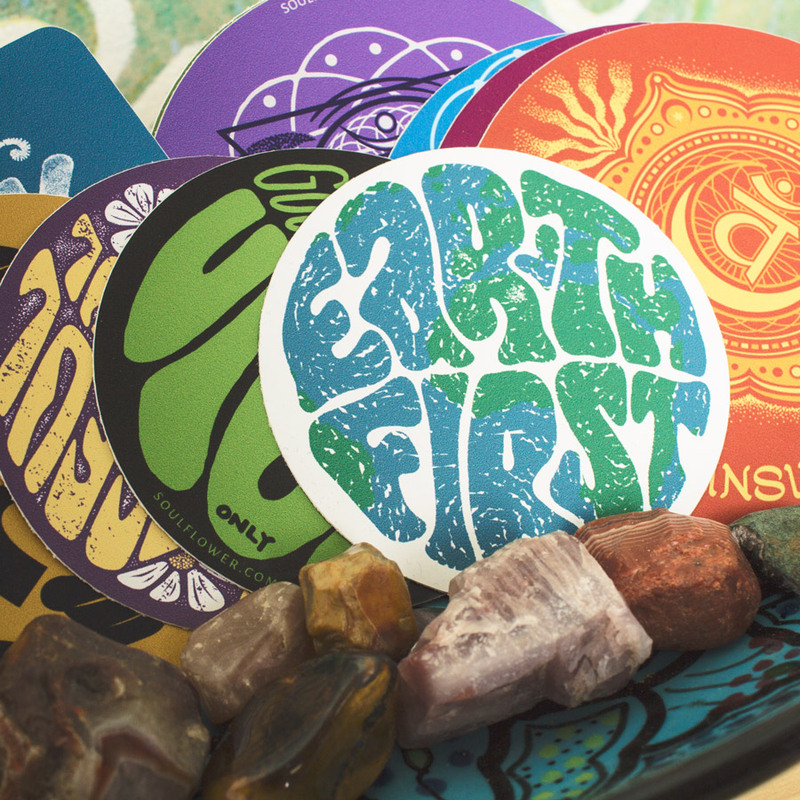 We hope you find a great way to show off your Soul Flower Stickers! The simpliest idea, just label each sticker on the back with a code and price and put them in a bowl where customers can dig through and find a favorite! 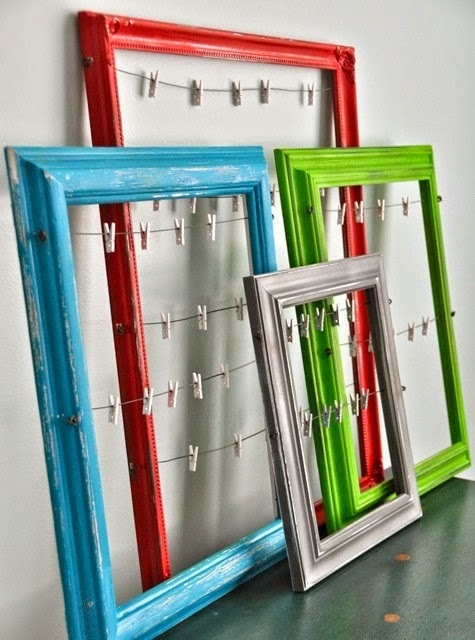 Drape some twine in a small area of your shop and individually hang your sticker on it using clothes pins. This works well inside an old suit case or even mounted in an empty photo frame. 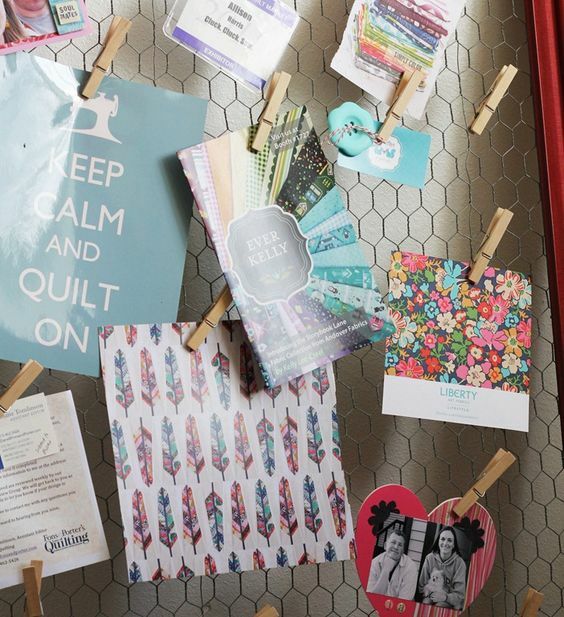 Then your customers can simply grab the sticker they want – or you can code each sticker with a code, have your customers write down the code and store them behind your counter. A file cabinet works great for this! Circa 1990, keep an old school sticker book at your register! Customers can flip thru to see your sticker options. Inside the album, just code each sticker and let your customers choose by code. You can simply store your stickers in a file cabinet (one folder for each code) behind your counter and quickly pull them for your customers. 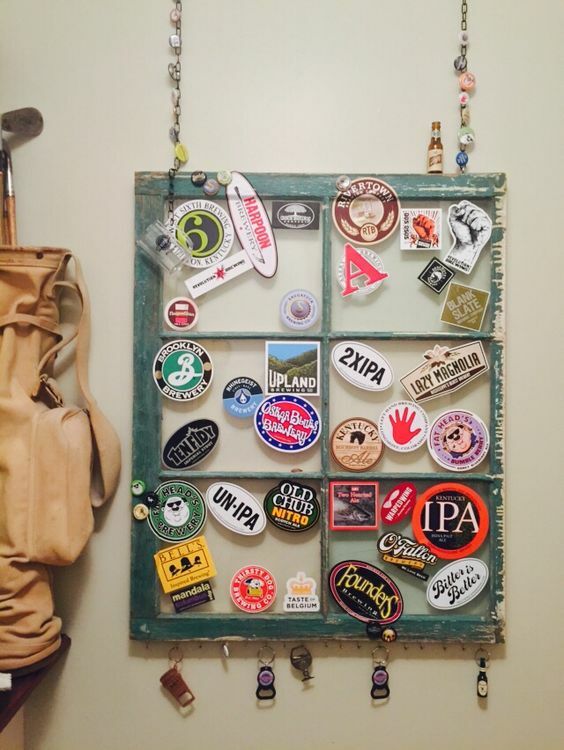 Just use hanging tabs and indidually hang your stickers on grid wall or peg board. 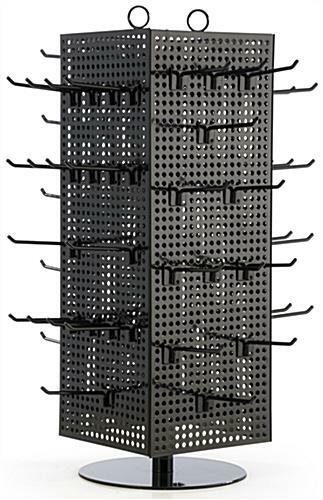 Hanging tabs are available for purchase at most store supply shops. 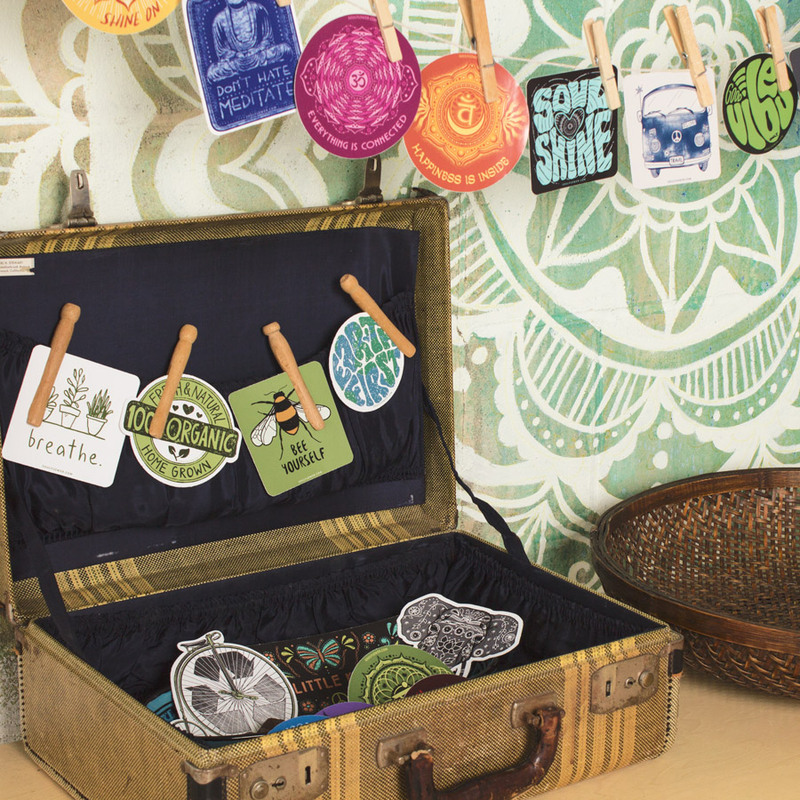 More Inspiration for Sticker Display Ideas! 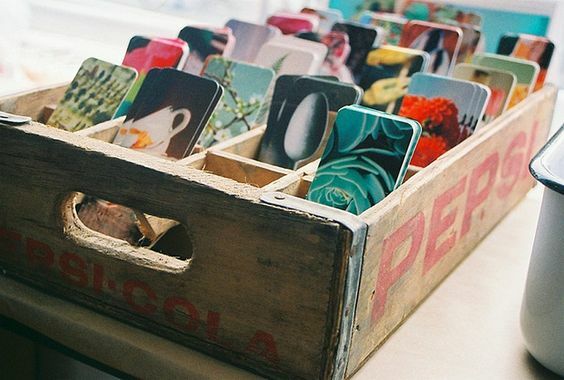 AND, here are a few more inspiration ideas from Pinterest. 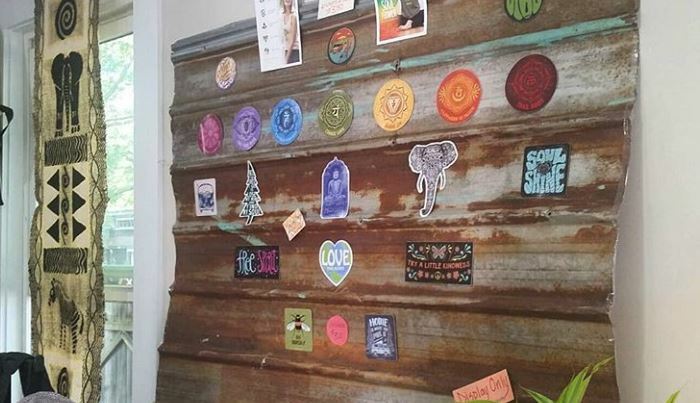 We would love to see your DIY POP Sticker Display ideas – be sure to send photos of your shop set up to wholesale@soul-flower.com. Thanks buds!